DG is a non-audition dance group at the University of Florida open to anyone and everyone that has a passion for dance! We welcome dancers from all levels (beginner, intermediate, advanced), and we offer many styles from conventional ones like Ballet, Jazz, Lyrical, Hip Hop, and Tap to cultural ones like Irish, Bollywood, and Belly Dance. It doesn’t matter if you've never danced before or if you have been dancing since you were two, come check us out! Are there any requirements to be a member? As a member of Dancin' Gators, you are welcome to be in as many or as few dances as you like. The only requirement is to participate in at least one dance routine to remain an active member. The only fees you’ll encounter throughout the year are for any DG swag you choose to purchase and your costumes for the show (which we keep to a maximum of $20 per dance). We do encourage all members to be in Closer, the final routine of the show, which will give you a chance to meet a lot of Dancin' Gators who may not be in whichever styles of dance you choose to do. Can I choreograph my own dances? Any active member is welcome to choreograph a routine so long as they have earned 5 points in their most recent semester in DG. If you know you'd be interested in doing so, you need to choose a song, style, and level of dance you'd like to choreograph. When the application to choreograph is released, complete the form and email it to the President. You must also attend the Choreographer Meeting held at the beginning of each semester. How do I join Dancin' Gators/choose which dances to do? Attend the Choreographers’ Showcase held at the beginning of each semester to see what we have in store. At the showcase, all the choreographers will show roughly 30 seconds of their dances and inform you of the day and time of their weekly practices. Once all the choreographers have given their short previews, they'll each have sign-up sheets for their individual dances. Sign up for as many or as few as you'd like, even if you're not positive you will be able to do a certain style. The first three weeks of practices are what we call a trial period; you can show up to the first three practices of any dance to try it out without having to commit to being in the routine. After the first three weeks, practices become mandatory and you must decide on which pieces you will be participating in for the duration of the semester. When/Where is the Choreographer's Showcase? What if I can't make it to the Choreographers' Showcase? We film each choreographer's introduction and dance preview at showcase and post the clips on our YouTube channel (link can be found on our home page). Practice schedules are also posted both on our Facebook page and here on our nifty website. Once you've decided which dances you wish to try out email the choreographer's for those dances and come to trial weeks!! It's that easy! 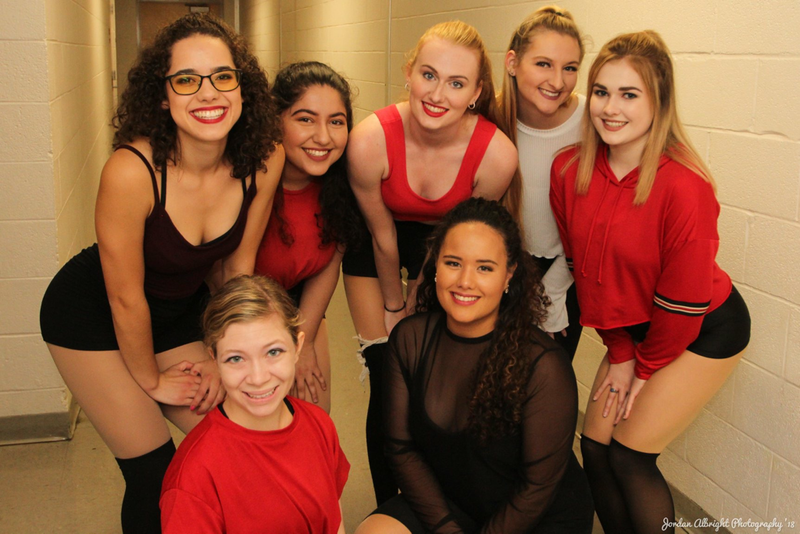 At the end of every semester, we perform all of our routines in a showcase at the Phillips Center for the Performing Arts. It is usually held during the final week of classes. Fall 2018's Showcase will be held Saturday December 5nd at 5:30pm. Friends, family, everyone is invited! We usually perform to an audience of around 1,000 people! Admission is completely free. 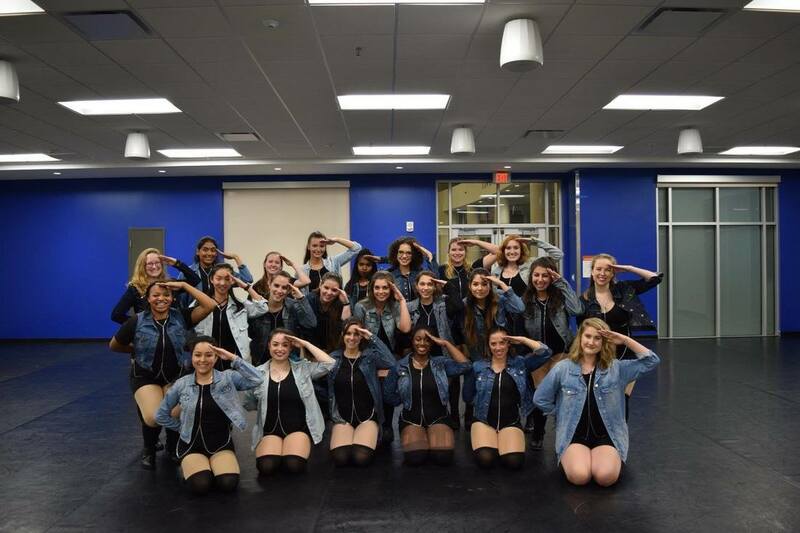 Oftentimes we have a show philanthropy we ask guests and dancers to contribute to; last year's was UF's very own Field and Fork Pantry which is intended to assist members of our campus community who deal with food insecurity. We asked each person to bring a donation of 1 nonperishable item and raised over 10 full boxes for the pantry!! What other Performances/Activities does Dancin' Gators do? We usually have numerous performances besides the showcase. In the past, we have been invited to and performed in the VISA Talent Show, the University of Florida Homecoming Parade, Disney Springs performances and various other events. In the Fall, we participate in March for Babies, Alachua County Heart Walk and Walk to End Alzheimers and in the Spring we take part in Relay for Life and Dance Marathon. In addition to these main events, we also hold the aforementioned canned food drives at our showcases. There are also socials approximately once a month where everyone in the company is invited to help all our members meet one another and hang out. We've come together for pool parties, bowling, movie nights, holiday parties, froyo socials, and Florida athletic events! How can I keep up with everything that is going on in the organization? In addition to the website, the Listserv, the Facebook group, and Twitter are our most important tools when it comes to communicating with the members. It is extremely important to join the Listserv, as it is our primary mode of sending out all the major information to everyone in the company. If you cannot figure out how to add yourself to it, please contact the Web Director of Dancin' Gators, and they will add you. If you have a Facebook account, you should also become a member of the DG Facebook Group and also like the official club page. If you have a Twitter account, follow us! The links to both our Twitter and Facebook group are on the home page. They are helpful in networking with other members and the Executive Board, whether it be to get answers to quick questions or find potential carpool rides to practices/events. If you have any questions or need to contact any specific E-Board member (such as the President if you want to choreograph a routine) please use the form in the Contact section.